Annual report is still not available for current year but came across this very detailed research report from crisil. have a read and feel free to make comments. Why AR still not available are they are not obligated to provide AR by some stipulate time? And AGM is in December, did they taken special permission for that, I always wondering management quality in this company. Anybody knows company well let me know what is the issue with AR and annual report? Does any one has concall for today’s meething? Merger of CMI with acquired subsidiary is nearing completion. 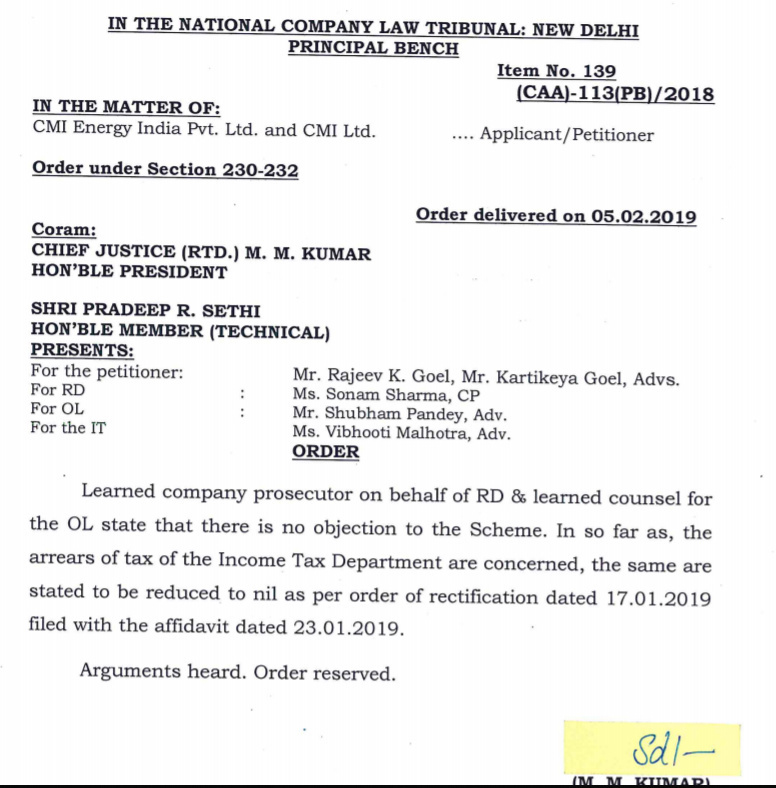 Order reserved by NCLT Principal Bench on 5 Feb 2019. 05 Sep 2018 - Baddi plant gets vendor approval from Indian Railways. 21 Dec 2018 - Wins 79 crore order from BHEL, first such large overseas project with BHEL. 04 Jan 2019 - Wins 21 crore order from Eastern Railways for Baddi plant. 18 Jan 2019 - Crisil upgrades credit rating to BBB Positive. 12 Mar 2019 - Wins first export order from Mauritius. 14 Mar 2019 - Baddi plant gets vendor approval from Power Grid, Airports Authority of India, Mazgaon Dock and JNPT. Merger of CMI with acquired subsidiary approved by NCLT yesterday.